Our range of galvanized corrugated steel sheets is skin passed and is available in deep drawing and ordinary specifications. Dipti Corrugating Industries Pvt. Ltd.
Clients can avail from us a comprehensive range of Corrugated Sheets at industry leading prices. 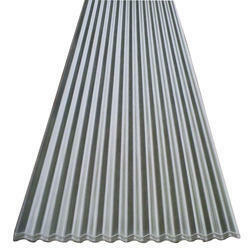 We are among the leading names involved in the manufacture and export of the corrugated profiles. These are manufactured from the premium quality of raw materials. We offer our range at the market leading prices.